1.1 What is Operate Now Hospital? 1.2 Are there any hacks for Operate Now: Hospital? We recently started playing Operate Now: Hospital. It’s quite a fun game, but we kept running out of Golden Hearts and Cash. Initially we purchased them from the in app purchases that are available, but this got expensive quick. We were curious if it would be possible to obtain these resources for free. That’s why we started searching for Operate Now Hospital Cheats. The Golden Hearts start out pretty cheap at $2.99 for a hearts Purse. However, the prices quickly ramp up. A bag of hearts will set you back $20 and even that is not enough to truly enjoy the game. We have bought more of those bags than we should. That’s why we needed to find a way to obtain them for free. 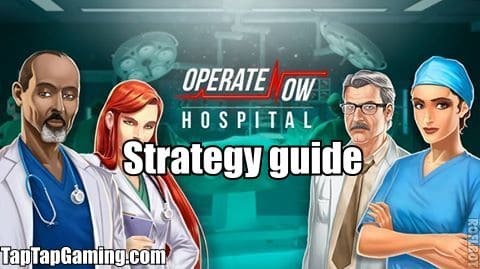 In today’s article we will share our research about cheats for Operate Now: Hospital. We will answer any questions you have regarding this topic. The main questions that we had ourselves were whether it was possible to hack the game. We were also curious if in case it was possible whether it would be safe to use such hacks. In case we found out that it was impossible to find a working hack, which we expected, we were curious if there were alternative methods of obtaining free golden hearts. Furthermore, We will also write up a quick and concise strategy guide with tips and tricks for new players. We will answer all these questions in this post, but first let’s talk a little bit about the game itself. What is Operate Now Hospital? Operate Now: Hospital is a mobile game for Android and iOS by Spil Games. It’s hugely popular and has accumulated over 10 million downloads on Android alone. The game has an average rating of 4.5 stars on iOS and 4.3 stars on Android. In Operate Now: Hospital you start out as a new doctor working in a hospital. However, when you start playing the hospital is not doing very well. It is your objective to improve the reputation of the hospital with your doctor skills. You learn the story of the hospital through a story line implemented in the game. 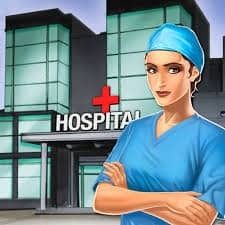 In the game you do not only perform surgeries, it’s also up to you to manage the entire hospital. This makes the game quite challenging, but also a lot of fun. However, managing the hospital can cost quite a lot. Especially the gold stars and cash are hard to come by unless you’re willing to shell out real money. For that reason it’s not surprising that so many people are after Operate Now Hospital Cheats. We were feeling exactly the same way and that leads us onto our next topic of discussion. Are there any hacks for Operate Now: Hospital? We were curious if it would be possible to obtain free Golden Hearts without paying extravagant prices for them. And so we began our search for cheat codes for Operate Now Hospital. When we started our search we found some websites that had what they called an unlimited golden hearts generator. These websites said that they just needed to know our username and that we could obtain any amount of hearts and cash that we wanted. That sounded a bit too good to be true to us, but we decided to try them out. Unfortunately, none of these websites worked. They have a slickly designed website which includes a generator, but in the end you will be forced to complete their human verification. Now, this would not be such a huge deal if these sites actually worked. But they don’t. We never received the resources that we were after and we’ve tried them all. If you’ve been on the hunt for Operate Now Hospital Hacks then you might have run into the same sites. If you’ve tried them out, then you already know just as well as we do that it’s impossible to hack Operate Now Hospital. But do not lose hope, it is possible to obtain free golden hearts! We were getting quite fed up with all these fakes websites that promised the world and delivered nothing. So we kept searching in hopes of finding a legitimate method to obtain golden hearts for free. It was not easy, we had to search and test dozens of methods. Most of the methods that we tested were a complete waste of time, but we found one that worked amazingly well. The method that we found is very easy to do. It only takes a few minutes before you can start obtaining resources. While the method is easy to do, it’s not easy to find the method. If you’re going to look for it, you will probably not find it. That’s why we decided to write a guide so that our readers that play Operate Now Hospital can benefit from our research. In our guide we will show you step by step how you can obtain the golden hearts you need. You can simply follow the steps that we lay out in our guide and you will be swimming in hearts in no time. Before we released the guide we made sure to test that it works on both Android and iPhone because we know we have readers from both platforms. Luckily, it does work equally well on iPhone as it does on Android. Our guide is available completely free of charge, so stop wasting time trying to find Operate Now: Hospital Cheats. If you want to know the only legitimate method of obtaining golden hearts then the only thing you’ll ever need is our guide. For players that are new to the game, we have written a quick strategy guide that can teach you the ropes. These tips and tricks are things that we would have found very helpful when we first started playing the game and we hope that they will be equally as helpful for you. If you have any questions about the game itself you can always shoot us a comment and we’d be happy to help you out. The break room is a very important room in the hospital, but one that is often overlooked. In the break room your employees can regain their stamina. If you don’t upgrade your break room in a hospital it will spell disaster for your journey. You can get away with not upgrading your break room at the start, but as the game progresses it’s very important to ensure that you upgrade it. Whenever you complete an operation in the game you will receive a grade. This grade is based on three separate factors: the remaining vitals, how fast you performed the operation and the amount of mistakes you made. When we first started playing we operated quite slowly because we wanted to make sure we didn’t make any mistakes. However, the key to obtaining high scores is to operate as fast as you can, while making as little mistakes as possible. A few mistakes here and there are often better than a very slow time. The reason for this is that your hospital’s reputation will increase based on your score, and you can often get a higher score when you perform the operations faster. This one is very important. We made a lot of mistakes here when we first started playing. It’s important to switch out your staff before they completely run out of stamina and send them to the break room. The reason why it’s bad when they run out of stamina they will immediately stop working on their operation. If they are in a critical moment during an operation and the employee runs out of stamina it can end very badly for the patient. You should always keep an eye on the ring around the staff members. Once this ring turns red it means that the staff member is below 25% stamina. When this happens sub them for a new employee so you won’t have any problems with stamina during operations.